PUMA has launched the much-anticipated comeback of the iconic silhouette, the PUMA Clyde. Returning after five years, the PUMA Clyde has been inspired by a milestone in the brand’s rich sporting history and modernized through exciting new colourways and textures. This icon is a staple for any true sneakerhead. The story of the PUMA Clyde began when basketball’s Walt “Clyde” Frazier asked for a custom-made pair of PUMA Suede’s that were then reconfigured to suit his legendary unique style, making him the first player in history to have a sneaker named after him. His quick hands on defense combined with his cool, calm and collected demeanor paired with his smooth off-court style earned him the nickname "Clyde”. 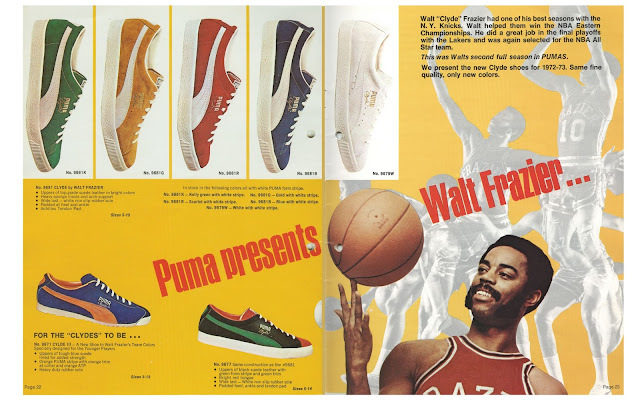 Originally created in 1973 - in an era when sports stars began to impressively impact on popular culture, influencing everything from film, fashion and even language, the PUMA Clyde quickly became the sports sneaker of the 70s. 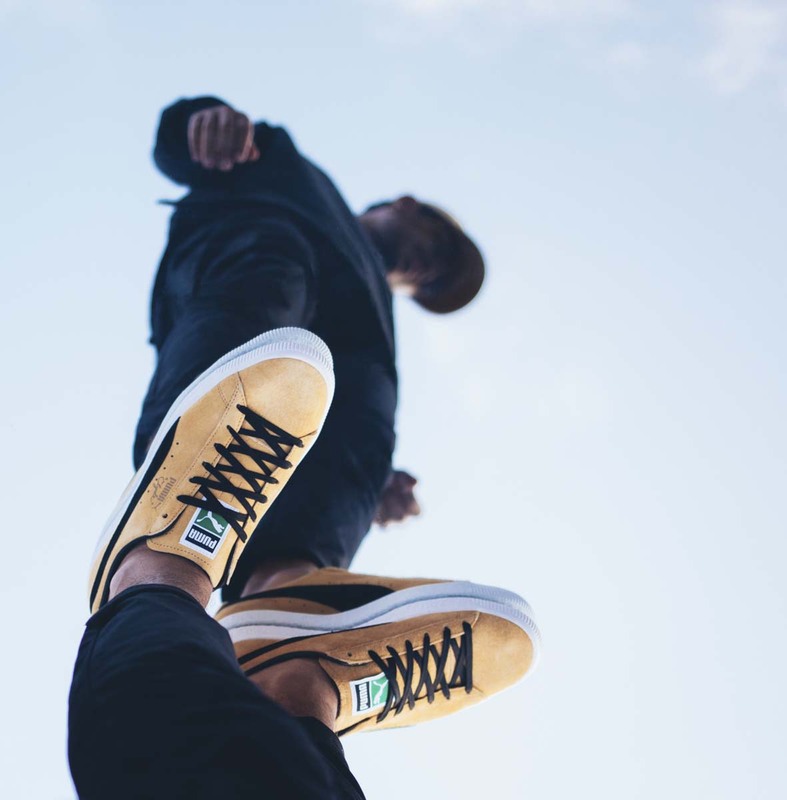 It’s maintained a strong presence in pop culture in the decades to come, being adopted as sneaker of choice by the hip hop stars, skateboarders, B-boys and musicians leading the punk movement of the 90s. Its many important cultural links ensure it’s a crucial shoe for the sneaker collector of today. Clyde himself describes the shoe as ‘a timeless design’ enabling it to remain a cult sneaker and return to the streets after five years. This season PUMA welcomes the legacy of Clyde back, a style that remains one of PUMA’s most epic sports-inspired styles that oozes with streetwise swagger and guarantees enduring appeal for generations on. Available in brand new colourways including Bright Gold-Puma Black and Barbados Cherry-Whisper White, the Clyde is finished with a PUMA logo and ‘Clyde’ signature in gold foil imprint. 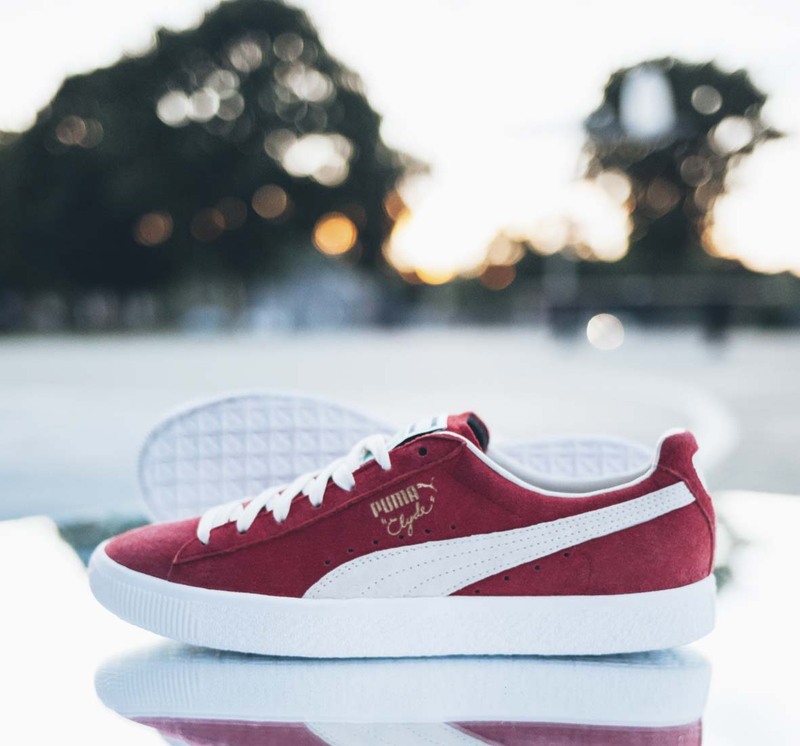 The PUMA Clyde are available in PUMA Select Bree Street, Cape Town and Braamfontein for R1499.